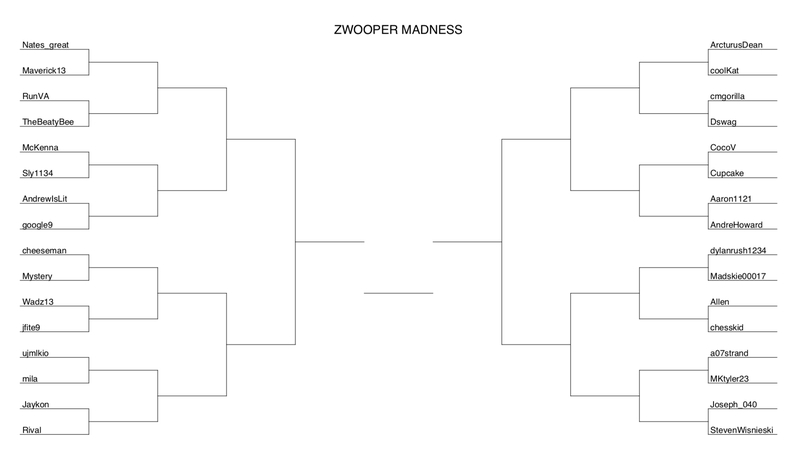 Post: ZwooperMadness | Round 1.2 +5 & VOTE NOW! ZwooperMadness | Round 1.2 +5 & VOTE NOW! Round 1.1 is still underway for voting (link below), but let’s get started on 1.2! Both 1.1 and 1.2 will be due this evening at 23:30! Here are the matchups for 1.2! Please decide who should move forward from each group! +5 and vote now!